To be honest, I didn’t really know anything about Surabaya before coming here. 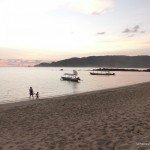 It wasn’t on any wish list and we only ended up here as we wanted to see more of Indonesia and it was actually cheaper to fly Lombok – Surabaya – Jakarta – Singapore than any other combination (or flying direct) to Singapore from Lombok. It turns out Surabaya is a big hub. Our guide book only had half a page on Surabaya so that didn’t help either and blogs on the topic are also solely lacking. Instead of turning us off from visiting Surabaya, it made us more intrigued. It’s fun to visit places that seem more unknown. For you, though, it won’t be so unknown! 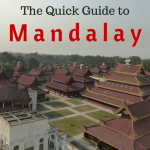 Below you will find our guide to what to do in Surabaya, where to stay, information about visiting Surabaya with kids and other useful information we learned during our stay. Surabaya is not a city filled with tourist attractions. However, there are enough places to visit in Surabaya to easily fill a day or two. Close to the heart of Surabaya, on the bank of the Kalimas river, is Monkasel (short for Monumen Kapal Selam), home to the KRI Pasopati. 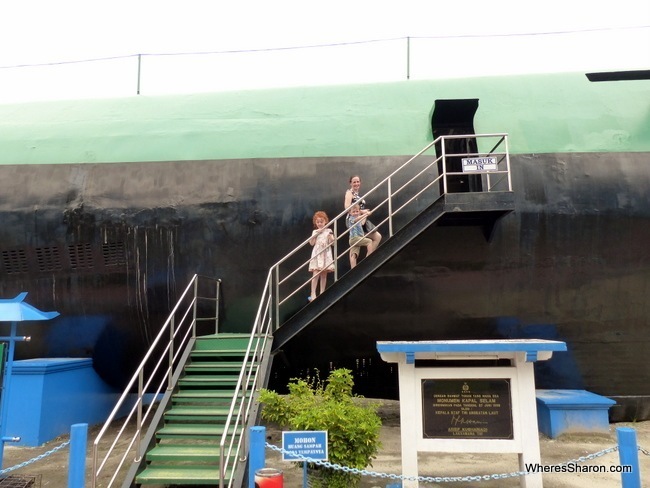 The KRI Pasopati is a former Russian submarine, in service in the Indonesian Navy from 1962 to 1990 and now it’s retired you can climb all through it! Surely it is one of the most fun things to do in Surabaya. The submarine is not big, and at 76 metres long you’ll be through it in 10 minutes, maybe less. There’s not a lot to see or read but it is cool to look at. The submarine is little altered from its time in service (there were still labels in Russian everywhere) and it still has an oily smell throughout making it feel (to me) like it had only just stopped being used. We all enjoyed our visit – it’s not every day you get to see something like this so close to its original state. It was well worth the effort to go. In addition to the submarine there is a video room with a 15 minute video shown on the hour. Unfortunately, we just missed it. There’s also a small playground and a kiosk selling water, drinks and snacks. Entry is 10,000 Rupiah per person (no discount for kids). Cigarette columns make sure you know you’re at a cigarette factory at the House of Sampoerna. The House of Sampoerna is a cigarette factory with a museum attached. Originally a Dutch colonial orphanage it was bought in 1923 by the founder of the Sampoerna cigarette company, Liem Seeng Tee. Part of the complex was coverted into a small museum and visitor centre. The museum covers the history of Sampoerna and the rags to riches story of Liem Seeng Tee as well as looking at their most famous product, kretuk cigarettes (which have cloves in the tobacco). Although small, it is well laid out and interesting and even the kids were interested in the different things on display. The highlight has to on the upper level. From here you get a view of the factory floor, watching women (they’re all women) roll and pack cigarettes. On the same level, behind glass is a crack team of rollers and packers at work up close. It was amazing to watch. One packer was going so fast it was like watching footage of someone being played at high speed. Unfortunately, no photos are allowed. The whole thing was impressive and in spite of myself I wanted to buy a pack of cigarettes. We used it as an opportunity to talk to the kids about why smoking is bad. 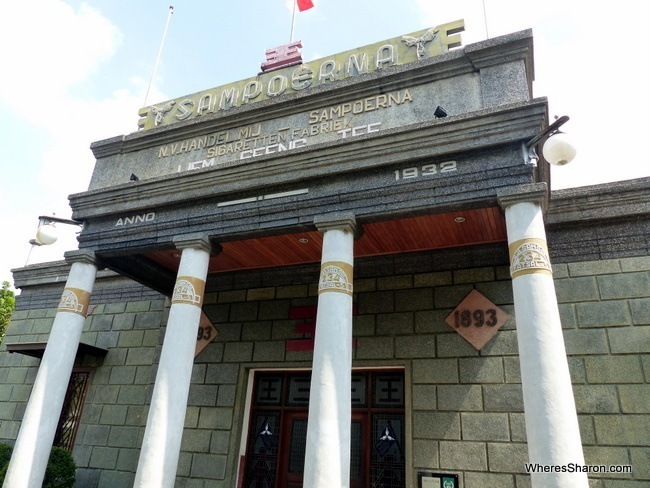 The House of Sampoerna is one of the better tourist attractions in Surabaya. We all enjoyed our visit, especially watching the rolling and packing in action, and are glad we came. It’s up there with the submarine for our favourite tourist attraction in Surabaya. And it is free. While you are at House of Sampoerna, you can also go on a cheap one hour bus tour of the city. They leave at 9am, 1pm and 3pm. Unfortunately, I can’t give personal details of this tour. We are still bitter as our taxi driver ripped us off by driving straight past House of Sampoerna and then spent 20 minutes driving back – meaning we pulled up just as the 9am tour was leaving. The very souq like part of the Qubah market district. Islam came to Java through Arabic traders. The Qubah district of Surabaya is their legacy. 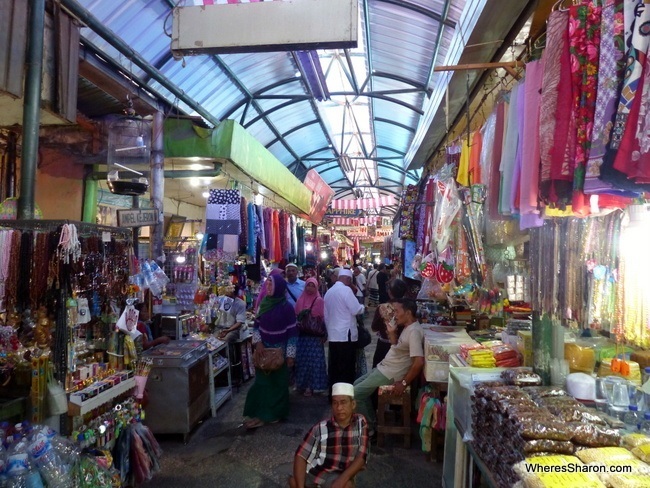 Qubah is a market area that features what Lonely Planet describes as a “Damascene” souq and is home to one of the oldest mosques in Indonesia, the Ampel Mosque (Masjid Ampel). In general, the Qubah area is like so many other market districts I’ve been to around the world. Lots of small shops buying and selling just about anything you could want to buy. Especially dates – they were everywhere (and tasty, too). The streets get more narrow and motorised transport is banned the closer you get to the mosque. The way to the mosque is well signed so you can’t get lost although you might get distracted by the shops and food. Masjid Ampel is roughly 600 years old. Originally built of local wood the mosque has been extended with the original structure incorporated into its current form. It was built in honour of Sunan Ampel, one of the earliest Arabic traders and Islamic preachers to make it to Java. It honours his work in bringing and spreading Islam to Java. He and his wife are buried behind the mosque and their graves are a point of pilgrimage for the devout from around Indonesia. The inside of the Ampel Mosque. This is in one of the newer parts. I was approached by someone who offered to show me around, wanting nothing and simply keen to share his mosque with me. We went to the mosque’s office to get a shawl like thing to cover my legs for which there was no charge. He ask I not enter the mosque itself – so I didn’t – but I could see inside. 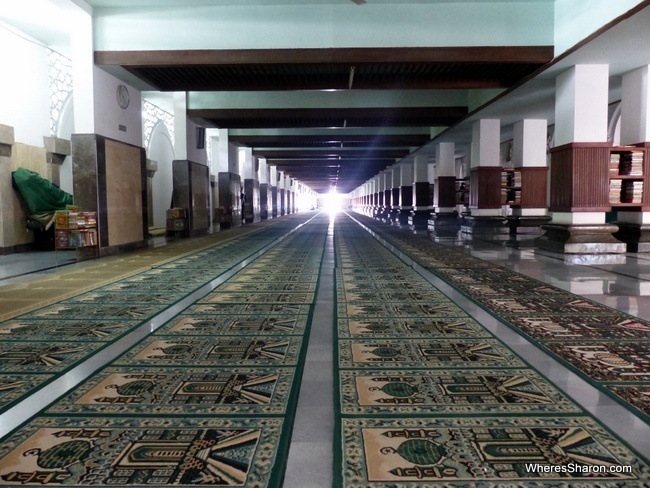 The mosque is simple, many wooden pillars and prayer mats on what looked like a marble or polished stone floor. I was led down the side of the mosque to a guestbook and a donation box where I was asked to sign but not pressured to donate and then through a gate to the grave area. It was a solemn but bustling place with over one hundred people praying and many coming and going. No one seemed to mind me there but I didn’t feel right taking pictures. Nearby the mosque’s office is the entrance to the souq like portion of the market. While I’ve not been to Damascus the undercover part of the market – a narrow corridor lines with shops either side – does feel what I’d imagine an Arab souq to feel like. It has a very different feel to markets I’ve seen elsewhere. A mosque and a market aren’t everyone’s thing although for it was worth checking out. I’m not sure that bringing Z would have been a good idea (S would have been interested and could have been respectful). It’s an interesting area and different from what I’ve seen before. 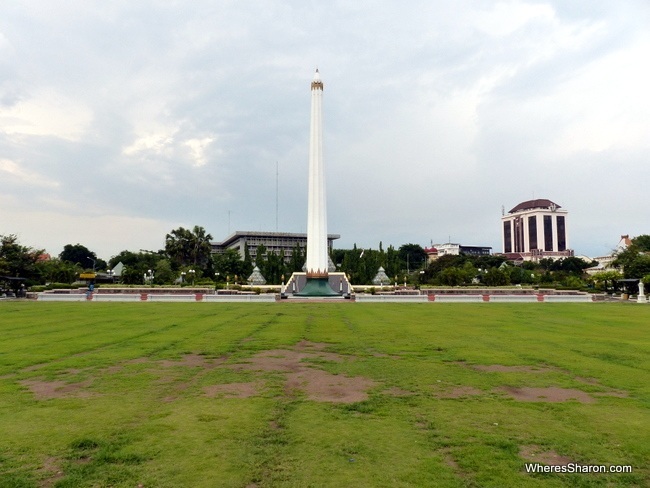 The Heroes monument is dedicated to those who died in the Battle of Surabaya, which started on the 10th of November, 1945. The monument is a obelisk just over 41 metres tall with a large patch of grass out the front. In that regard it is good for kids, there is plenty of space to run around. There’s a museum behind the obelisk featuring a few exhibits from Indonesia’s struggle for independence with a focus on the Battle of Surabaya (where Indonesian fighters drove out British and Indian army units before being themselves driven out after three days of intense fighting, something not mentioned in the museum). Exhibits are labelled in Indonesian and English but there’s not much to see and the second floor of exhibits was closed. I found the museum interesting but its not for everyone, especially as there’s little to see. Outside there’s an armoured car, field gun and some heavy mortars used during the battle that you can climb on and pose for photos with, which is fun. Despite there not being a lot to see I found my visit interesting. 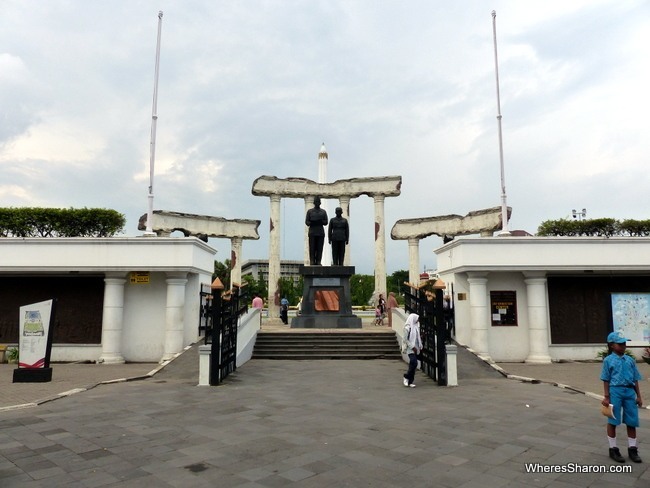 Given the historical significance of the Battle of Surabaya if you’re thinking about what to do in Surabaya then the Heroes Monument is worth considering. There are gates at each side of the monument but they’re locked. The only entrance is from the front. Entrance to the museum is 5000 rupiah. Everything else is free. A few blocks from the river lies this unique mosque, different from all other mosques we’ve seen in Surabaya. The mosque is built in a Chinese style, looking more like a Buddhist house of worship than an Islamic one. 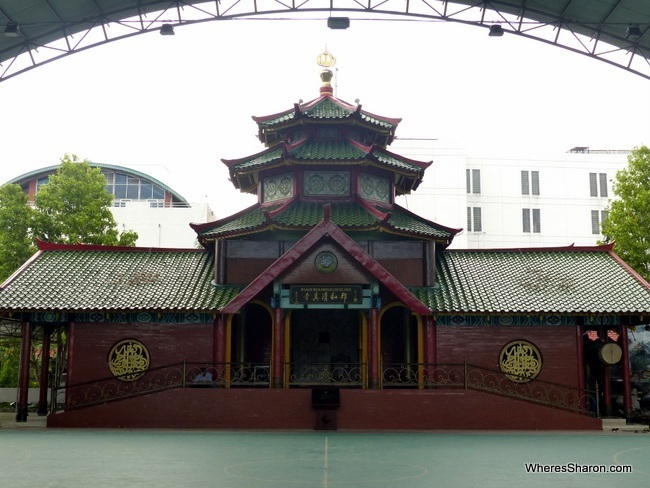 The mosque is named after the famous Chinese admiral Zheng He who had sailed to Java early in the 15th century. 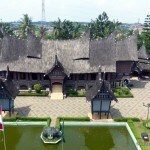 The mosque was built in 2001 in honour of his exploits and his contribution to Islam in Java. The mosque is quite small and is swamped by the school that almost entirely surrounds it. You should have your knees and shoulders (and head if female) covered but there wasn’t anyone around to get a sarong or shawl from when I was there. The mosque is so small you can see all the way through it anyway. It won’t take a lot of time to see but the Cheng Hoo mosque is one of the more unique places to go in Surabaya and worth a stop if you’re close by. The top of Jelan Kembang Jepus is the start of Surabaya’s Chinatown. In the evening, after 8pm street food vendors converge here preparing food freshly bought from the nearby markets. I got there at lunch time and other than a dragon bearing gate there wasn’t much in the way of visible Chinese influence or street food – maybe I was looking in the wrong spot. While I was here at the wrong time of the day, I have to say I was disappointed in what I did see. If you’re sightseeing in Surabaya in the evening it might be worth checking it out otherwise I’d give it a miss. This history museum is located south of the city centre and could be worth a look with some extra time. More information here. With another day in Surabaya, we would have headed to Ciputra Waterpark which is located on the outskirts of Surabaya and sounds like the perfect place to cool down. Find more information here. Surabaya is an easy place to visit with kids. It’s a modern city with cheap taxis to get around, many eating options and some great hotels. I wouldn’t call it somewhere I would rush to visit with kids, but it is definitely not somewhere to avoid. 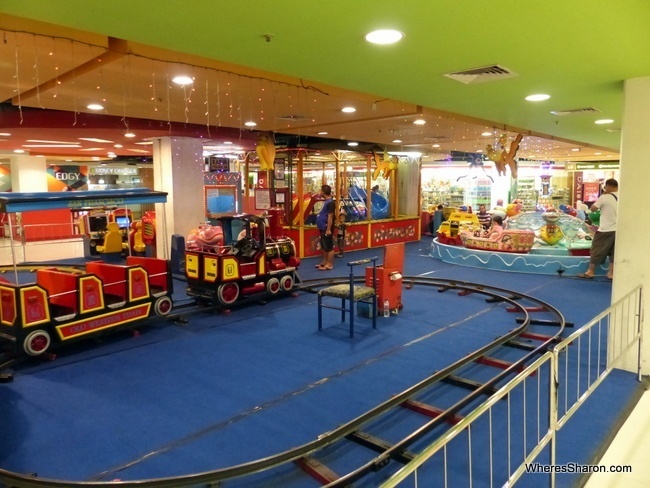 In addition to the above activities, there is also the Surabaya Zoo and many shopping centres (which are seemingly everywhere) have kids’ play areas. We opted not to visit Surabaya Zoo. A quick google will show you why! It has a terrible track record for how it keeps its animals and we didn’t want to visit somewhere that sounded so cruel. For toddlers and young preschoolers, this collection of rides and play areas in Tunjungan Plaza is sure to be a hit. There are some train, boat and car rides, and two different play areas. 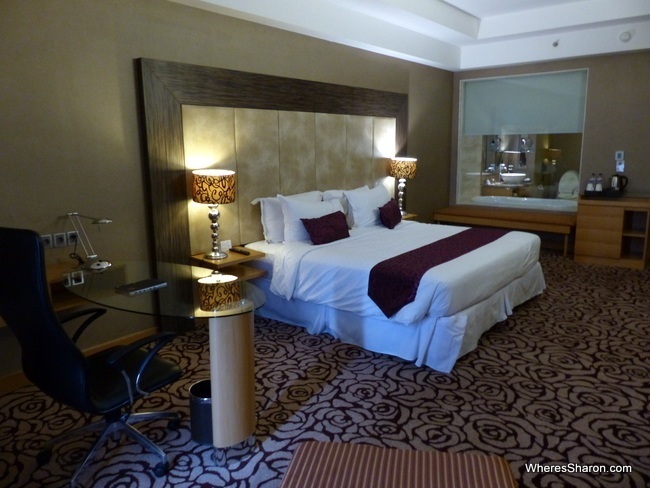 We stayed at the Wyndham Surabaya (formerly the Pullman Surabaya) which was a big hit with us! For only AUD$100 a night, we stayed in a deluxe king room at this 5 star city hotel. Our room was very spacious and we liked how the bathroom had a window between the bathroom and the bedroom. There was also a great desk area, a fridge, safe, gown and fantastic wifi. Our kids were free in our room. There are also many restaurants, a great pool area, fitness centre and other facilities you would expect in a great hotel. Although everything was good and I can not fault much, I would not describe it as 5 star. More like 4 – 4.5 star. For the price, however, I am certainly not complaining! It is a great place to stay just a short walk to Tunjungan Plaza (or they have a free shuttle there) which gave us many eating and shopping options. There is also a supermarket super close. The staff were great when we needed a doctor for our daughter too. It was all arranged quickly and efficiently. They came to us and gave us medicine, all for only about 350,000 rupiah! Hotel 88 Embong Kenongo, Kayun – A super affordable option for families on a budget, this hotel is located close to Surabaya Plaza and Senopati Museum. The hotel has free WiFi and a 24 hour reception, and serves a buffet breakfast in the dining area. You’ll need two rooms for groups larger than 2 making it more suitable for older families, but rooms are very affordable. Click here to see the latest prices. JW Marriott Hotel Surabaya – 5 star luxury in Surabaya can be found here. With a health club, 24 hour car hire and a shoe shining service, the hotel has pretty much everything. Two bedroom suites are huge and perfect for families. Click here to see the latest prices. Dhanesvara Holistic Unique Homestay – Simple and affordable, the hotel has 24 hour reception and offers laundry and other services. Air conditioned family rooms are suitable for families up to 5 and there is also an onsite gift store. Click here to see the latest prices. Hotel Majapahit Surabaya – Your money can go a long way in Surabaya, and this affordable 5 star hotel is an example of that. It offers a spa, gym, tennis court and outdoor pool. Monumen Kapal Selam is less than a 15 minute walk away and the hotel offers free transport to Grand City Mall. Click here to see the latest prices. We came to Surabaya from Lombok. There are plenty of flights, just like there is from Bali to Surabaya. In fact, Surabaya is one of the biggest air hubs in Indonesia so there are flights here from many places. From Lombok, it was a quick 55 minute flight. 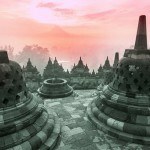 We flew Garuda Indonesia which was great and only AUD$50 per person (not on sale). We were especially impressed when we were given food and the kids were given a choice of toys. If you are going from Surabaya to Bali or vice versa, you can also travel overland via bus and boat. If you do this, consider stopping over at Kawah Ijen. 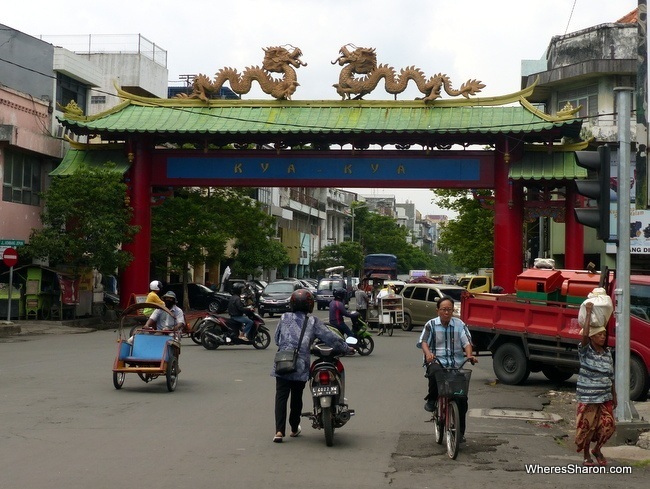 We used taxis and cyclo rickshaws to get around Surabaya. These are cheap and usually plentiful. If you are off a main road, however, you may want to get the attraction to ring for a taxi for you. The taxis used metres without a problem. However, we had a few go way out of the way of where we were going. One in particular really tried to rip us off and I hate to think what would have happened had I not had google maps and checked where we were going. This was especially annoying as the drive took twice as long as it should have and we just missed the heritage tour we wanted to do. From the airport, there are many people offering taxis from a counter as soon as you exit the luggage area. It cost us 150,000 rupiah to get into town which was cheaper and nicer than the metre taxi we took back to the airport. 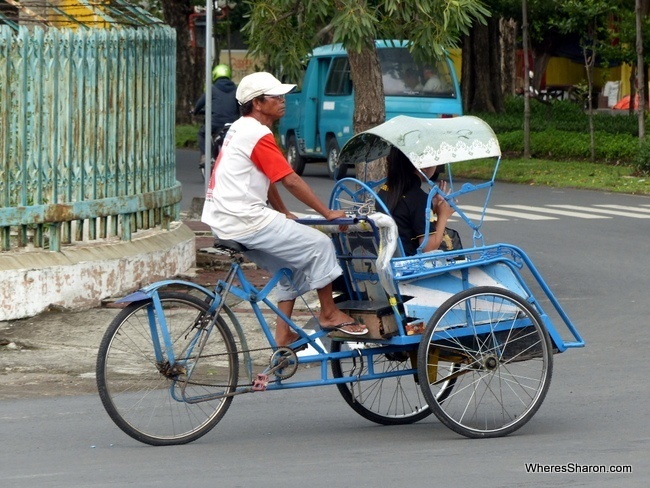 No Surabaya city guide would be complete without mentioning the city’s Cyclo-rickshaws. Cyclo rickshaws are plentiful in busy areas like Qubah or malls. Prices seemed to be in increments of 10,000 rupiah (maybe to keep things simple as many of the cyclo drivers spoke no English, it’s probably cheaper for locals) and some discussion might be needed to get a reasonable price. They’re reasonably comfortable and efficient for short trips as they dart in and out of traffic and take shortcuts taxis can’t. Surabaya is pleasant to explore on foot, but not easy. Busy roads have decent, wide, smooth sidewalks however turn down smaller roads and these disappear. It can be hard enough without young kids as you avoid parked and moving vehicles and puddles. It was harder with our 3 and 5 year olds. Strollers would be nigh on impossible to use in many areas. 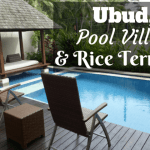 We spent about AUD$170 a day over our two nights in Surabaya which is not bad when you consider our accommodation was just over AUD$100 a night. This also included a relatively expensive room service dinner, all sightseeing and a lot of taxis. It would be easy to spend less. Despite not being a lot to see in Surabaya there was enough that we’re glad we made the stop. For a city of more than four million people it is easy enough to get around and nice to explore, by foot, cycle and taxi. The list of tourist attractions in Surabaya is not a long one and it’s understandable if you give the place a miss. However if you are passing through then there’s some great things to see in Surabaya and its worth spending a day sightseeing if you can. 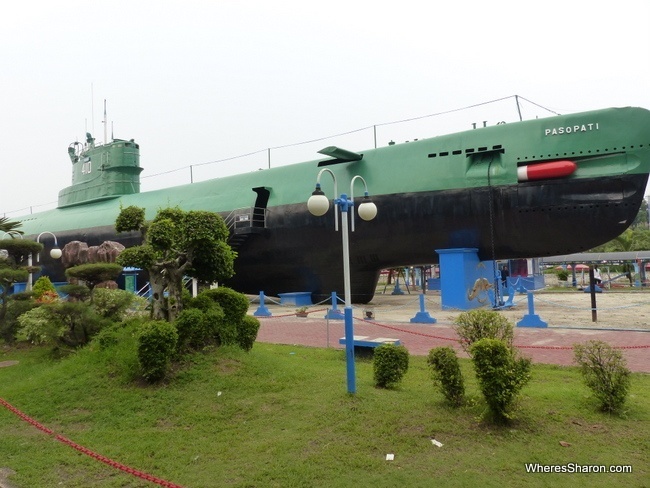 The House of Sampoerna and the submarine at Monkasel really were worth the effort as I’ve not seen anything like them before. For us, Surabaya was a great entry point to the bustle and energy of the island of Java. Read more about our adventures in Indonesia, including visiting nearby Jakarta, Yogyakarta and Bali. Disclaimer: This article contains affiliate links. This means that if you make a booking after clicking on a link we may receive a small commission at no extra cost to you. Thanks! A lot of things to do there. Very inspiring writing. 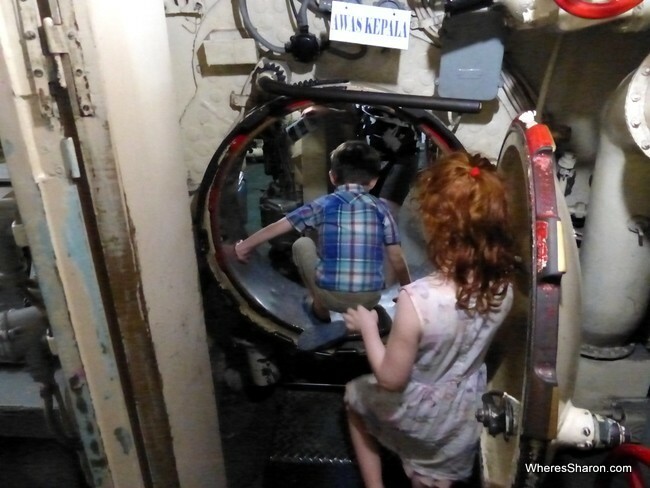 Submarine museum is truly a great experience.